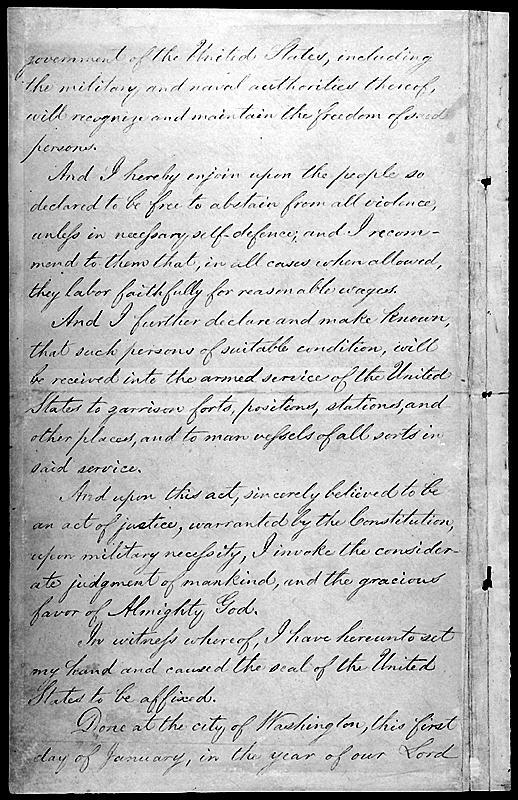 The following links point to photographs of the copy of the United States Constitution stored in a vault in the National Archives and Records Administration, as well as a picture of the letter of transmittal that accompanied the copies sent to the Congress and the states after it was approved by the Constitutional Convention in Philadelphia. 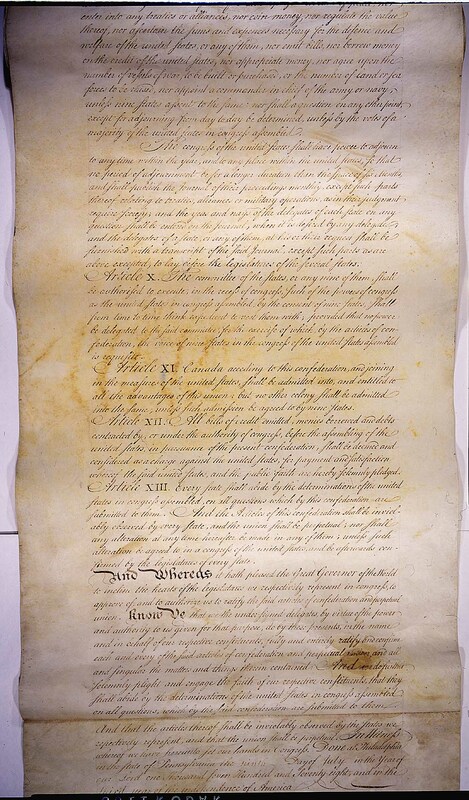 Aside from the copy stored at NARA, about 20 other copies dating back to the Convention are known to exist in various American and British collections, mostly in those of state governments and universities. 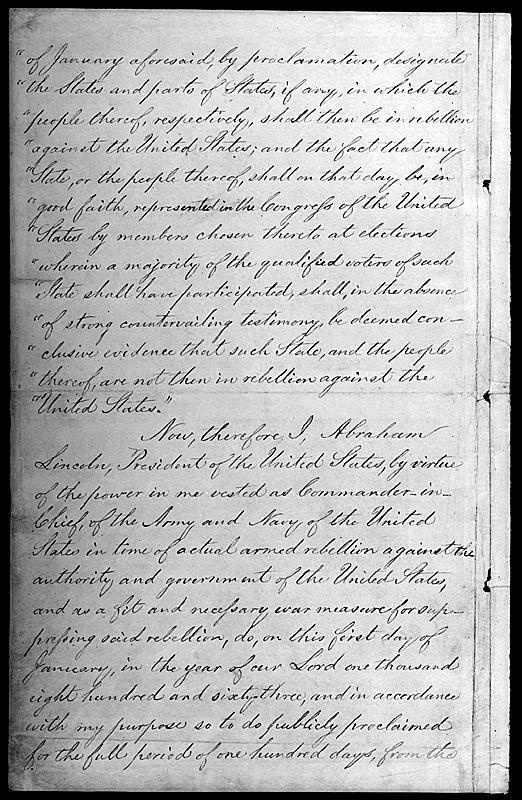 These images are courtesy of the National Archives and Records Administration. 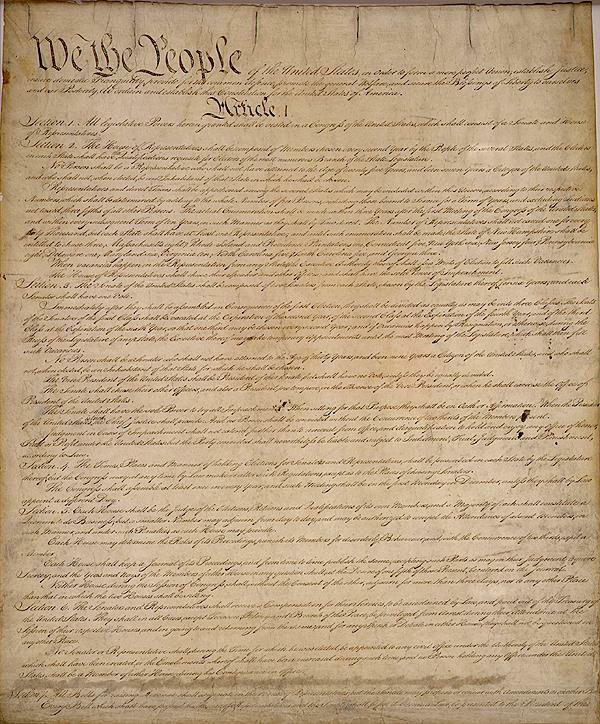 The following is an image based on the Stone Engraving of the Declaration of Independence. 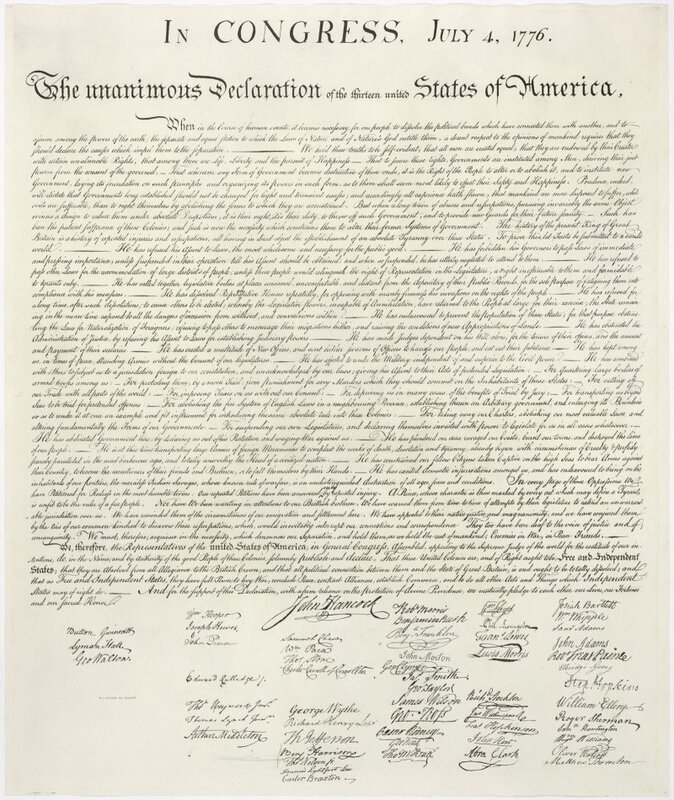 The Stone Engraving is an exquisite reproduction of the Declaration created in 1823 by William Stone. 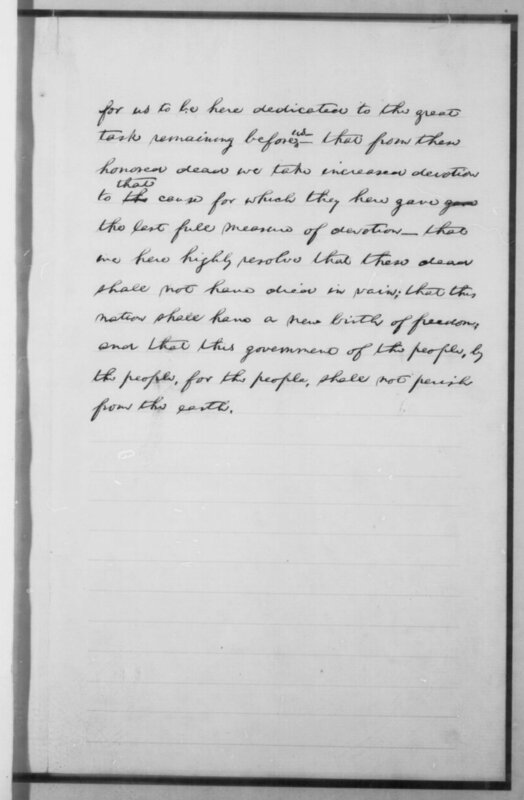 The story of the Stone Engraving can be found at the National Archives. 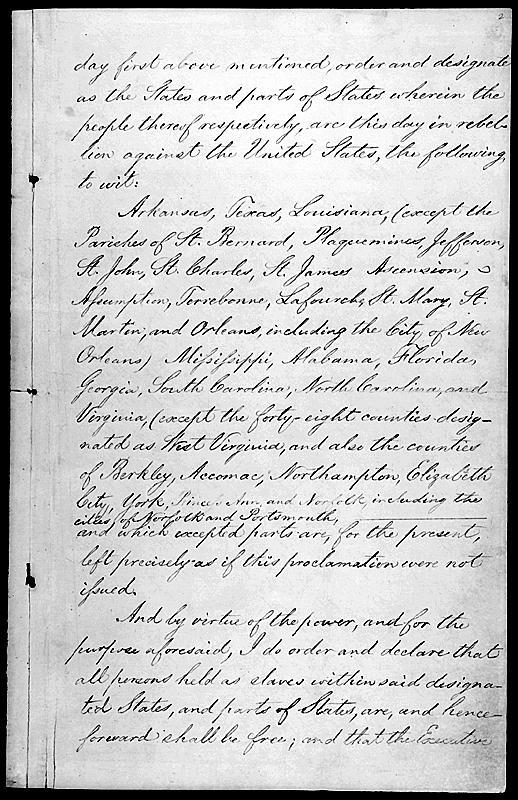 This image is courtesy of the National Archives. 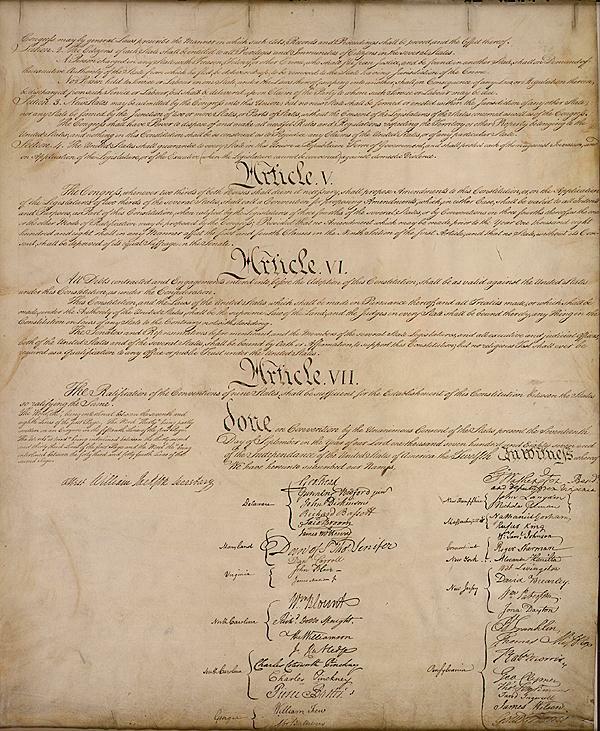 The original Bill of Rights was passed by Congress on September 25, 1789, and copies of the first twelve articles of amendment were transcribed to be sent to the states for ratification. 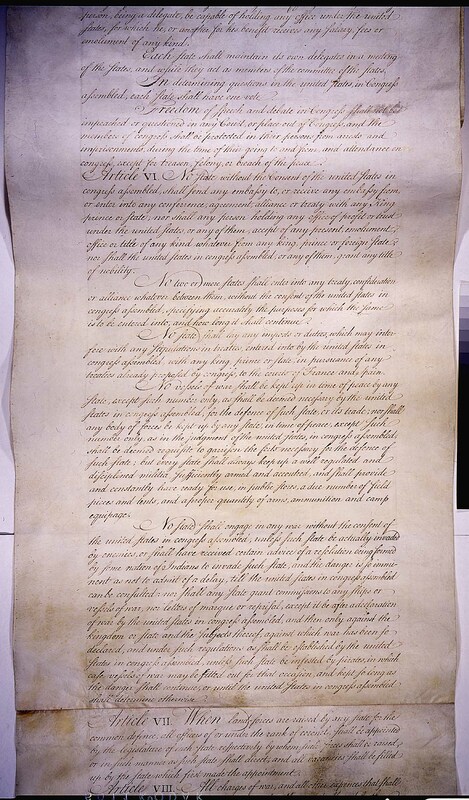 The following is an image of one of those copies. The ink is badly faded. 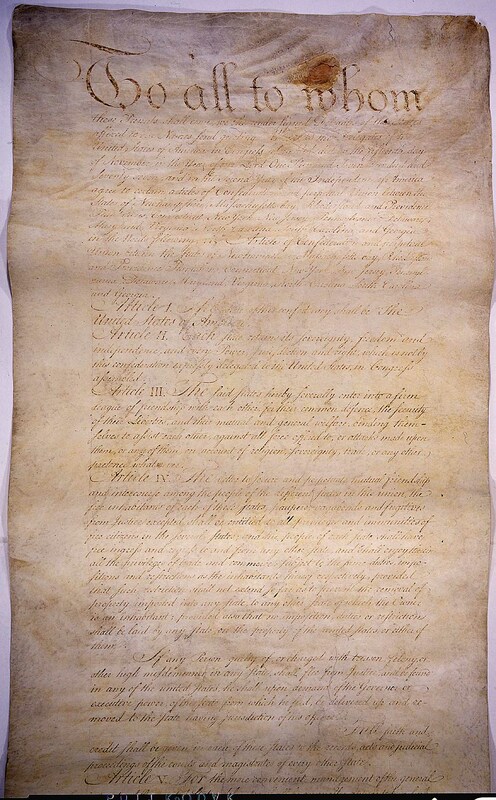 These images point to pictures of the Articles of Confederation. The Articles are a badly damaged and faded document. It is much easier to read the Articles in their original form if the transcribed version is used at the same time. 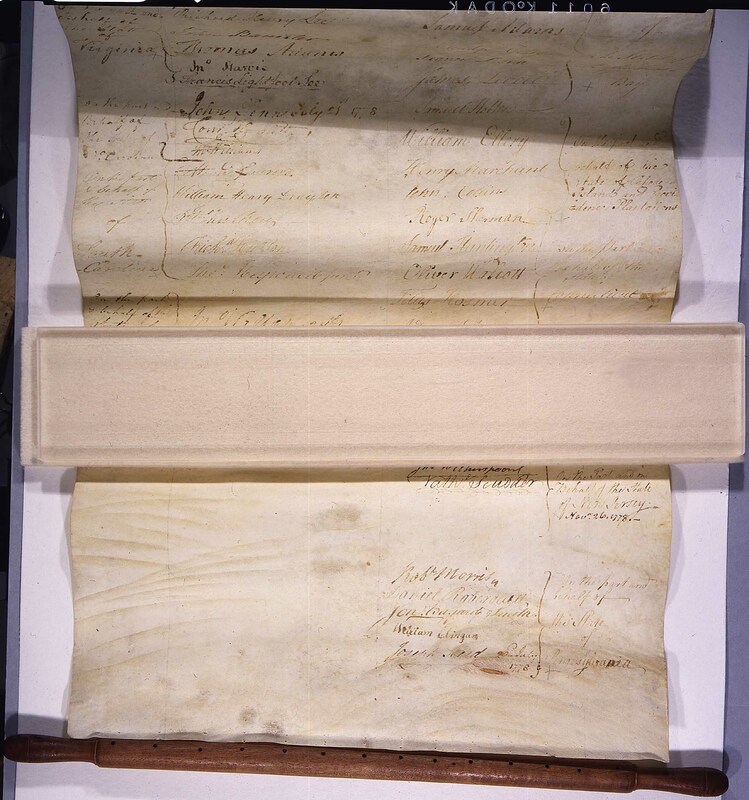 The Articles are stored in a single long scroll. 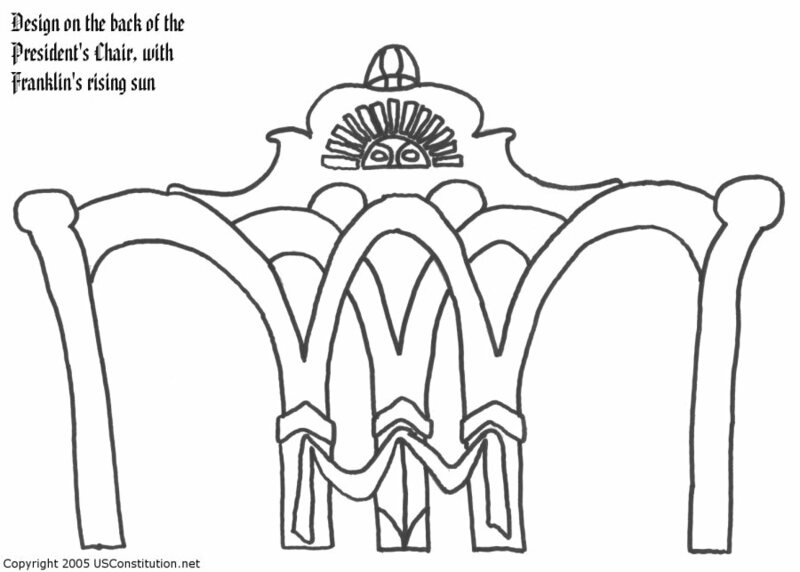 Each image is of a portion of the scroll, and there are some gaps and overlaps in the sequence. These images are courtesy of the Government Printing Office. 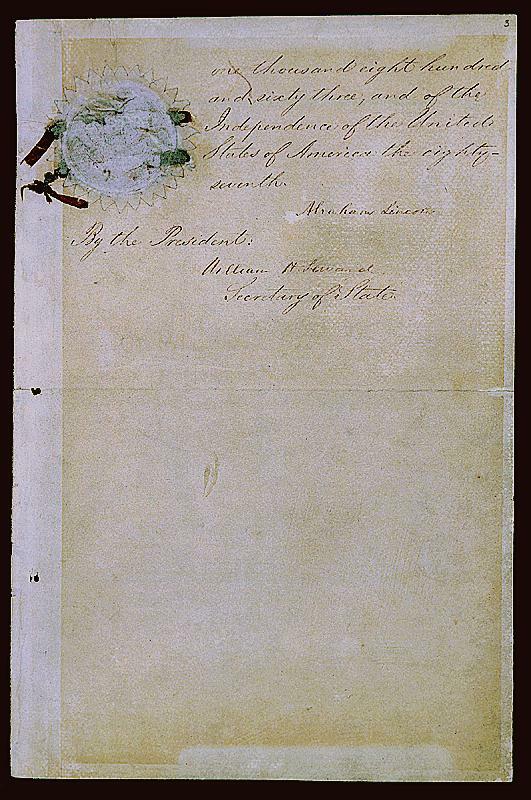 These images point to pictures of the Emancipation Proclamation. 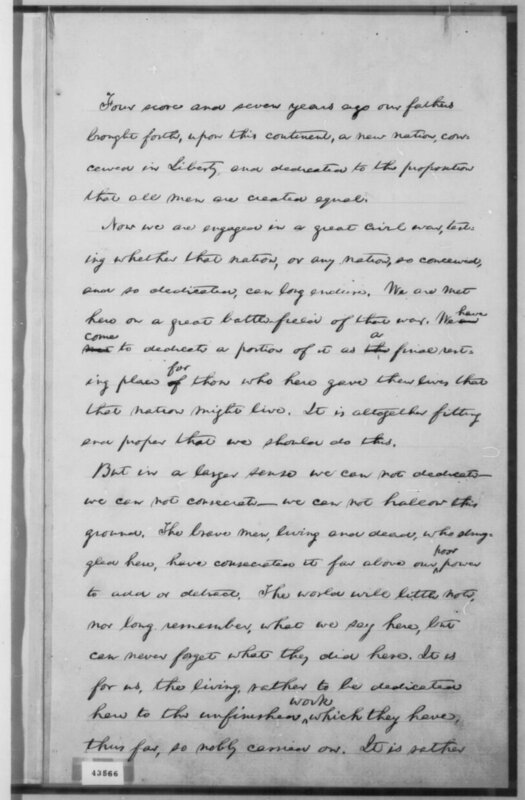 These images point to pictures of the Gettysburg Address. 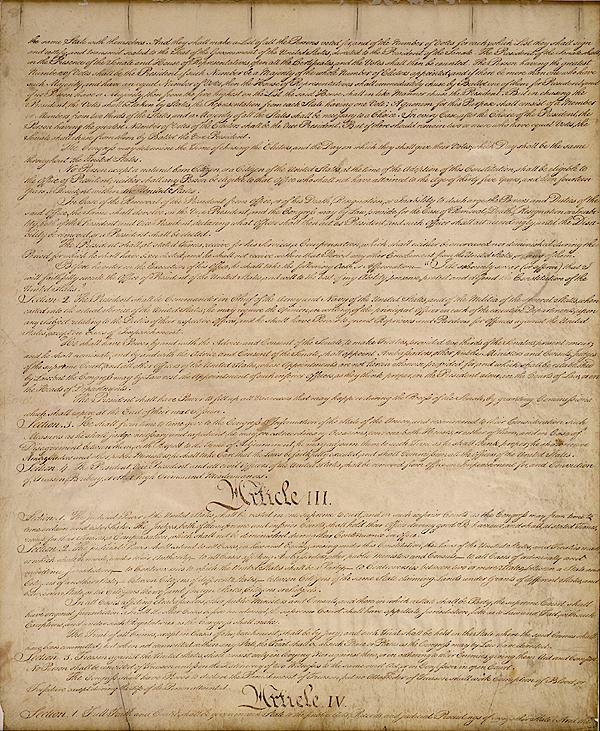 Several different versions written by the President exist - these images are of the so-called "Hay Copy". 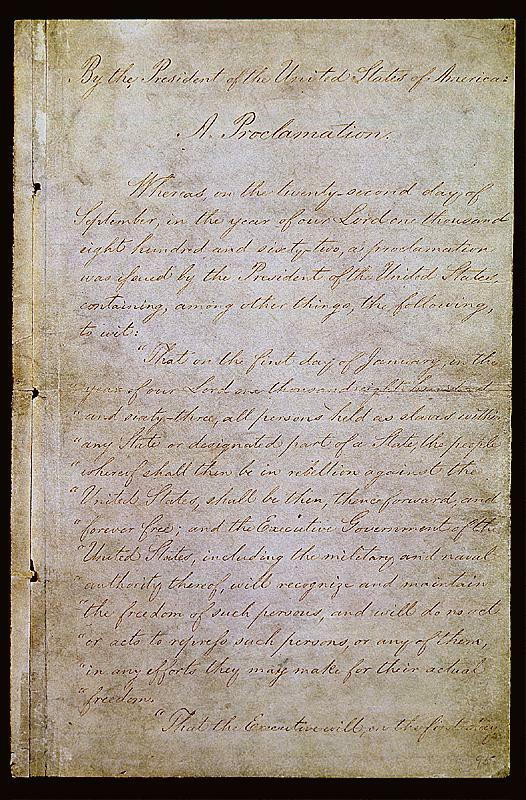 These images are courtesy of the Library of Congress. Important link notice: Because of the size of these files, you are not permitted to link directly to them. If you do, you will see a small image that says "Do not steal bandwidth." If you wish to link directly to an image, you can link instead to a special file I have created for each image. For example, if an image is named "cpage1.jpg", you can link to a special file called "i_cpage1.html". This will allow your users to see the image with no background or other adornment. Each such page includes a link to this page.